At this point, you have happily browsed through an assortment of interesting listings, utilized EquityZen’s research, and feel confident in moving forward with making an investment. What exactly is this process like? EquityZen has worked hard to provide a seamless, paperless transaction process to get you from interested to invested. 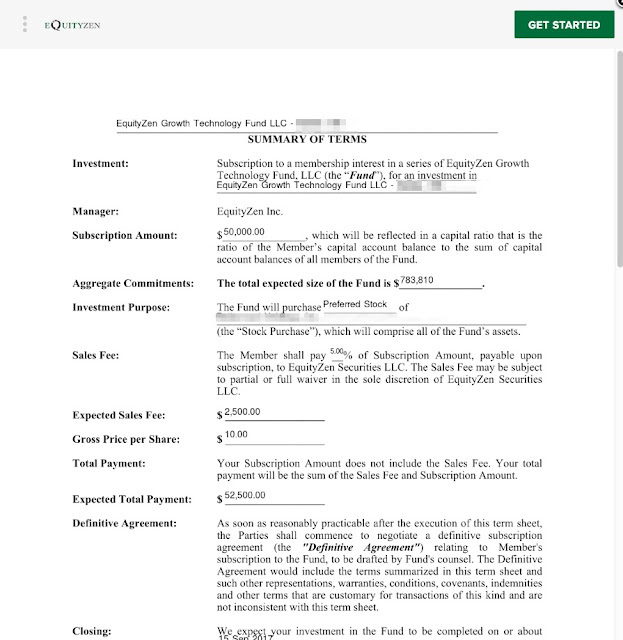 Once you’ve typed in your desired amount and clicked “Reserve My Investment”, you will be asked to sign a termsheet to indicate the amount you are investing and the general terms regarding your investment. Once you’ve signed your termsheet, you’ll be directed to the My Investments section which will lay out the next steps you need to take in order to finalize your investment. Simply follow the prompts to finish your investment—our intuitive five-step transaction workflow will guide you through the entire investment process. After you've completed the investment process, the My Investments page will provide summary details about your deal, such as the investment amount, fees, and the total fund size. To look back through any documents, we have aggregated them right below your progress tracker—click "Show Updates and Documents" to review. If you're looking for additional details regarding your investments, we also provide a sleek portfolio summary that you can consult at any time. 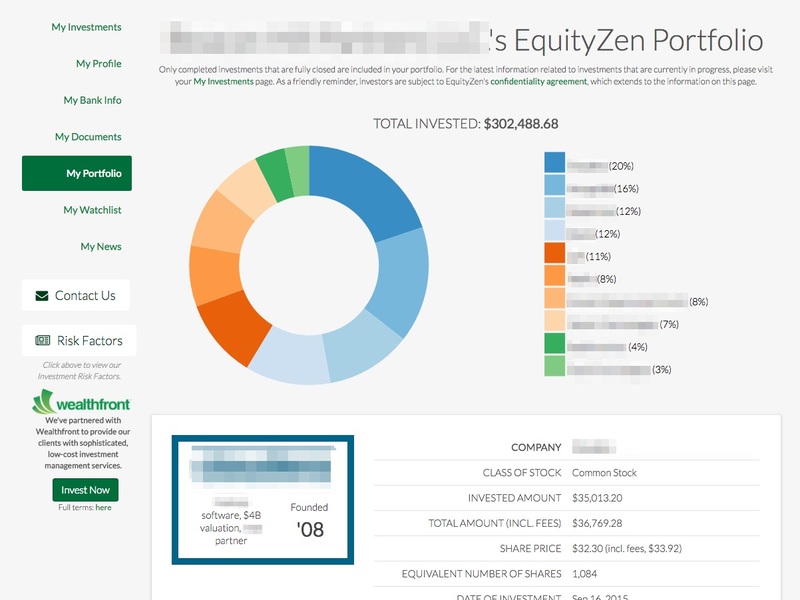 My Portfolio features a breakdown of all the investments you've made, including the class of stock, number of shares, and the size of each investment relative to your total portfolio. We hope you found this brief tutorial enjoyable and helpful. With this knowledge in hand, you are now well-equipped to explore the investments EquityZen has to offer. Research our listings, compare your favorites in your Watchlist, and cruise through a smooth transaction process. Thanks for being a member of the EquityZen community. Happy exploring!